With a focused effort on career and college readiness in Decatur City School’s strategic plan there was a need to train guidance counselors and cooperative education secondary staff in career development to better meet the needs of students in a coordinated, system-wide effort. In addition, there was a need to do this strategically, to help the system connect its career and college readiness plan with the system’s overall strategic plan. Secondary staff learning about career development theory in CDF training. 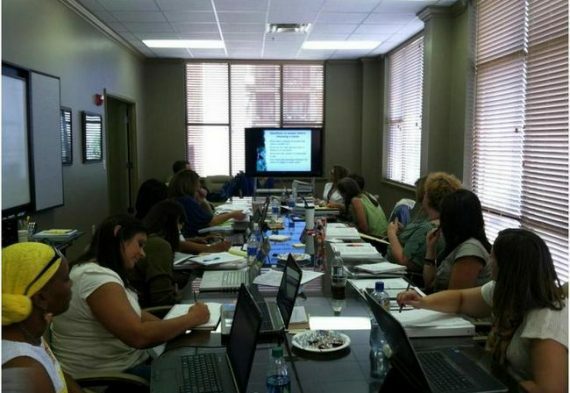 Decatur City Schools called upon Horizon Point Consulting, Inc. to train staff to be Career Development Facilitators through the National Career Development Association’s curriculum. Horizon Point customizes this training for school systems to help them think strategically about career development planning for students. The results of this training were certified career development professionals in all high schools and middle schools who are now better equipped to meet the career and college readiness needs of students. In addition, the system now has a strategic plan for career and college readiness that includes action items, time lines and measureable results that coincide with system wide efforts to develop 100% College/Career Ready graduates by 2020. 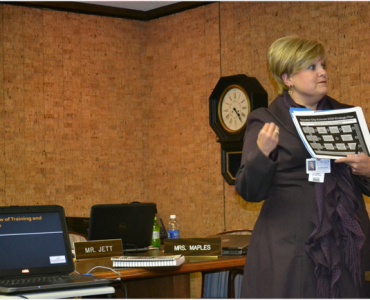 Dee Dee Jones, Coordinator of Secondary Education, presenting the Career and College Readiness plan to Decatur City Schools School Board members.